Here are some unusual plants for the middle to back of a New Vintage border. Just add them for their originality and fun. They are not very common and yet they are all reasonably robust so we can use them very effectively for variety and interest. 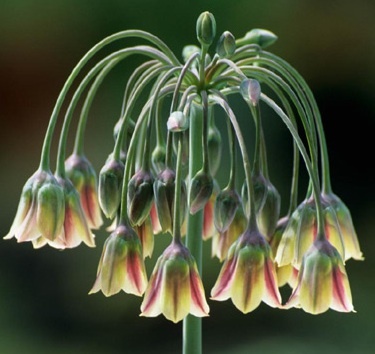 N. siculum is a robust perennial with keeled basal leaves and a stem to 1.2m in height, with a terminal umbel of nodding, long-stalked, bell-shaped flowers combining cream, pink and green tints, followed by decorative, erect seed pods in late summer. Having thought they were unusual I was suprised to see them in a couple of the Chelsea Flower Show gardens so perhpas they are becoming more common. Definitely a wonderful plant as their height would add to the middle of any border whether narrow (thinking London gardens) or generous (thinking country estates). They fit beautifully into my New Vintage look. 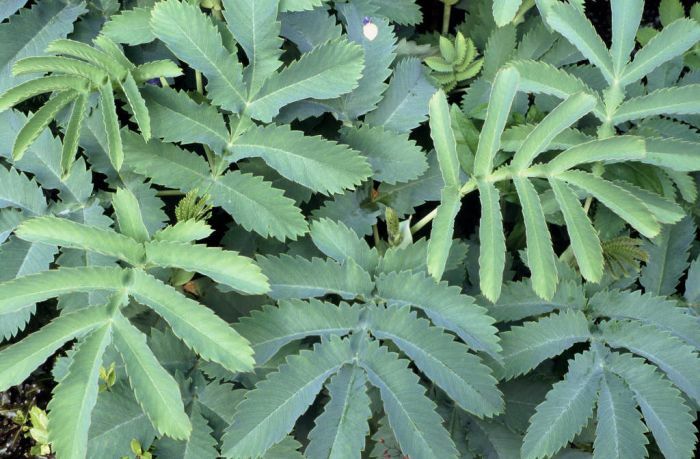 L. formosa is a robust evergreen plant forming a mass of narrowly sword-shaped, leathery leaves; bowl-shaped white flowers 3cm wide are borne in clusters on stiff stems in late spring and early summer. Melianthus are wonderful looking plants. Rather exotic looking. They are evergreen shrubs, often grown as herbaceous perennials, with handsome pinnate leaves and small, tubular flowers in narrow erect racemes. Their real use is to fill gaps with those incredible leaves. M. major is a sparsely branched, medium-sized evergreen sub-shrub of sprawling habit, with handsome glaucous, pinnate leaves to 45cm in length. Small, tubular maroon flowers in erect racemes to 30cm in length in spring and summe. Rather fun to add to a New Vintage border, although not strictly New Vintage. I have put these wonderful plants into a lot of my planting schemes and my clients are always thrilled with them. They are unusual and striking and would complement any New Vintage planting scheme. Please email or call me if you would like some help with your New Vintage planting scheme.